Justin Faust - I C U Dancin' (with remixes by Achilles & One & Earl Grey) (Muzik Box 009) Justin Faust, straight out of Munich (Disco City) and at the vanguard of Europe’s nu-disco-house-dance scene, delivers a killer club gem in “I C U Dancin’”. The track owes as much to 80’s leftfield Disco as to the modern House sound with its pumping yet catchy bass line (the one where you go “I’m sure I’ve heard this somewhere before”, but you actually haven’t), its driving percussive drums and infectious vocal hook. This track works its way as easily into a Nu Disco set as any current House mix. Justin Faust has released EPs on labels like Nurvous (NYC) & Discotexas and has been spending time at the top of Beatport’s Nu Disco chart as well as on Annie Mac’s Radio 1 show. The original is accompanied by two remixes, the first by fellow Munich resident Jonas Gorke of Achilles & One from the prolific Love Harder label. A&O gives the original a classy & very alert 90’s House makeover without sounding the least nostalgic. This is pure fresh modern club material and has already received great feedback from clubland. Remix number two is from the mighty Earl Grey. The London based producer has just released a co-lab EP with PJU on Muzik Box and has also delivered EPs on labels like La Belle & Hakt. Here he goes all wonderfully rough on the original. This is a dirty acid chugger of the finest order and a great addition to the EP. 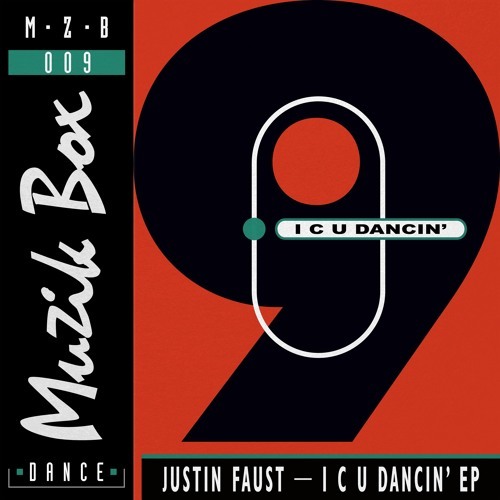 Enjoy Justin Faust - I C U Dancin’ EP on Muzik Box ! Awesome Track & Great Remix!